true..its not worth to buy this piece of junk! i used this phone couple of month its only view "out of memory" when i attch the 4gb memory card...!!! and i'm still stuck with this thing!! Nishant, 10 Aug 2012I have very good experience with this mobile. Battery back up is more than 2 days. Sound outpu... moreIs that w100i or else ???? user, 12 Aug 2012this phone is worst,contiously hangs down and mere waste of moneyn vat bout its battery back up....??? Spiro user, 20 Jul 2012Reasonable price, good audio quality, long lasting battery, large display, soft keypad, excele... moreSomeone gave me this new phone last November from Dubai. I am from Phils. At first, it is good. But after a day or two, when I put memory card in it, I can't use the SMS. And it always restarts. After a month, I accidentally dropped the phone then I can't use the main keys anymore. I hate this phone. After few months, it is no use for me anymore.. A VERY BAD PHONE! I have very good experience with this mobile. Battery back up is more than 2 days. Sound output is awesome and camera quality justifies the price. I read the comments below regarding sluggish software but I have not faced any issue with it. I am quite satisfied with my purchase..This phone is economic as well as good enough. this is the worst phone ever! wasted my money buying it, continously hangs and now it is dead. its a nice phone but it haves bugs but if you want loud music the phone will give you that. very usefull slide set , nice mob 1 m using 1 year no problems showing !! Reasonable price, good audio quality, long lasting battery, large display, soft keypad, excelent crystal clear sound using earphone/headset, i use this phone about 10mons. This phone has minimal problem, i experience out of memory but when i change my 2gb card into 8gb, i dont experience now the out of memory issue. I dont experience the restart problem since the first day i bought this. - the camera is good if you use in outdoor but when u use in a place where the light is low, the pict.quality is very poor. On the video, it has poor quality bcoz it only a vga. - i d0nt like its orange keypad color. Also the internet speed, coz its too slow. It doesnt support any themes aside from the 2 preinstalled thm. If u like to download games, download it from pc. It is java enabled phone. By the way, does your phone has a music player theme? 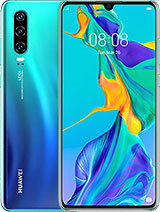 Mine doesnt have, but when i watch the review video of this phone, the phone they use have. A walkman theme. * this is a good phone, the other afraid to buy this phone due to the negative comments here. Im from the Philippines by the way, mine is stealt black.